The Senova pHit scanner is a handheld pH measurement device that uses a new smart sensor platform. The sensor is composed of a carbon substrate and coated with analyte sensing molecules. 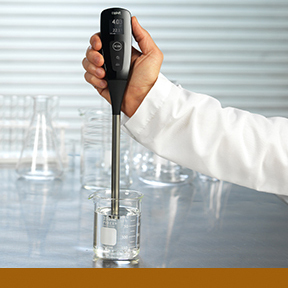 This allows it to accurately measure pH without the need for calibration or sensitive storage protocols between uses. Eliminating these procedures saves time and reduces errors.